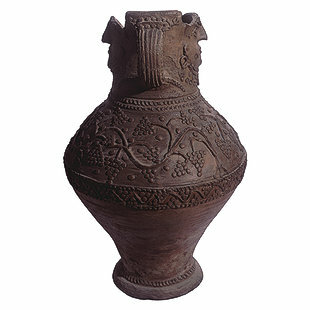 The upper part of this clay jar is in the form of a vine with full branches and clusters of grapes. The jar was used for storing wine. The jar has two handles, one of which is broken. The jar has a round base and its lower part has no ornament whatever. The neck of the jar is embellished with two human faces. 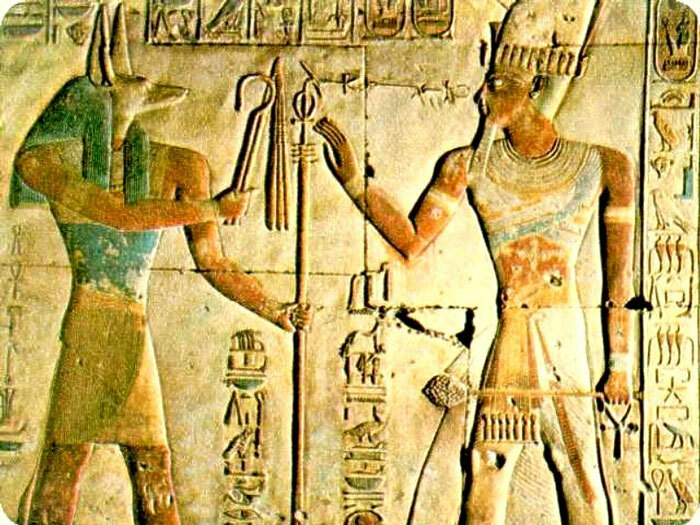 The human faces in the upper part represent a man and a woman. The artist has skillfully portrayed the features with the wide eyes that distinguish Coptic art. Beneath the chins there are Greek decorative elements. The faces of the man and the woman are meant to signify that all are one in the True Vine of the Lord Jesus Christ.